This mark appears in the 1912 'Handbook of Marks on Pottery & Porcelain' by William Burton and Robert Lockhart Hobson as 'Kanzan Kin Sei (Respectfully Made by Kanzan). 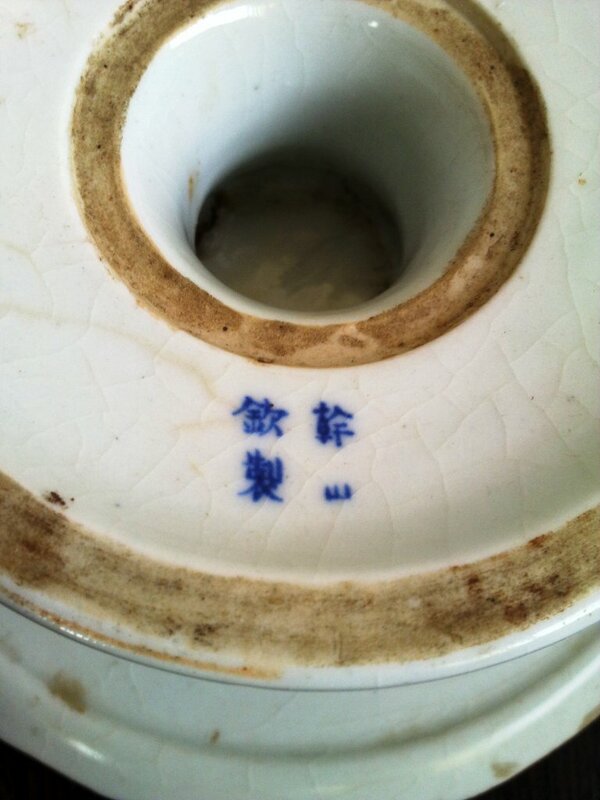 This is one of several markings found on Kyoto wares associated with the studio of Kanzan Denshichi (幹山伝七 - 1821-1890). Other examples are found in the 1882 book by James Lord Bowes, 'Japanese Marks and Seals in Literature and the Arts'. 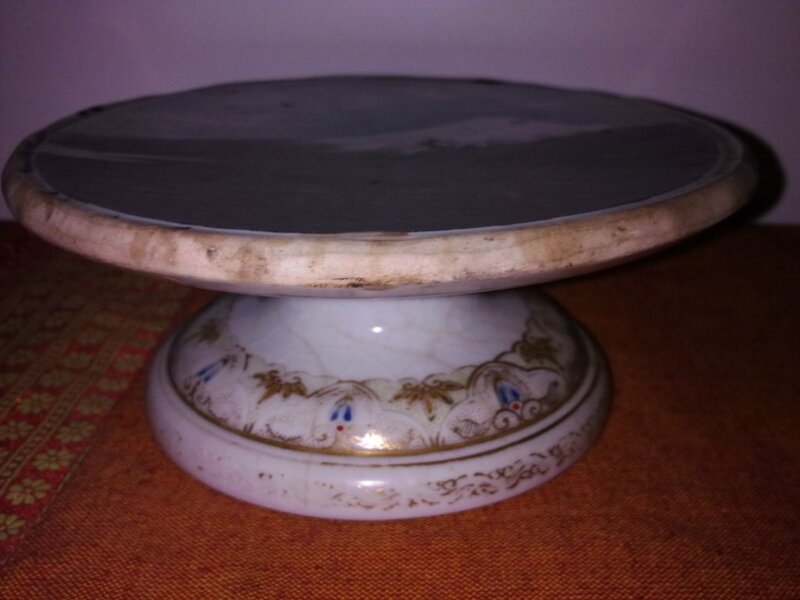 Perhaps Japanese collectors in the forum can comment on other aspects of this studio's porcelains, including fabrication of them. I've added a link below to a British Museum summary on Kanzan. Kanzan Denshichi 幹山伝七 orig. 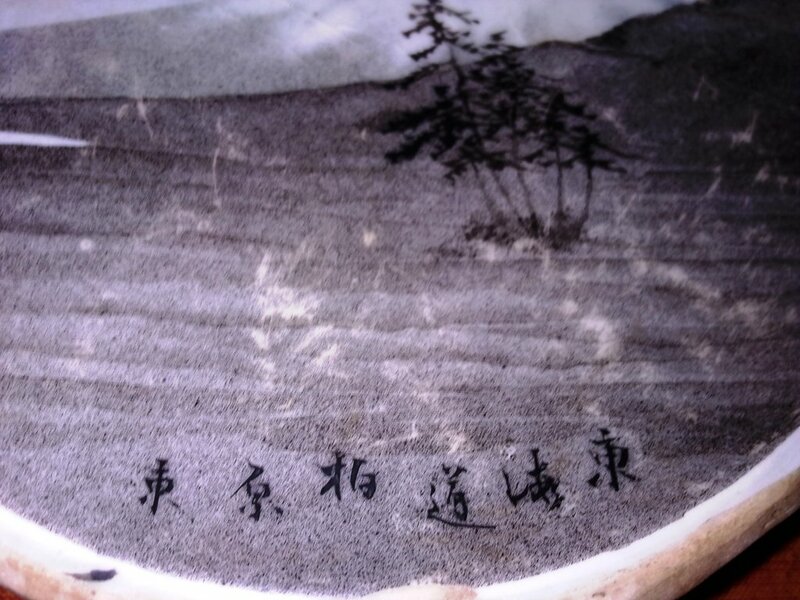 Katō Denshichi 1821-1890 master potter from Kyōtō. In 1873 won silver prize at the Vienna World Exposition. He was one of the first Japanese potters to carry out experiments in Western-style underglaze polychrome.